It is with much love and gratitude that I send you and your families best wishes for a happy, healthy holiday season and new year. During this busy time, it is important to remember to slow down and smile with a loving heart to everyone. The best gift will always be unconditional love and, if we make a real effort to be considerate and forgiving of others, this world will transform into a paradise. This is the power of Sheng Zhen. May you continue to practice and bring more and more healing love and joy into your life, and into the lives of those around you. From mid-October to the beginning of Thanksgiving week of this year, several local Austin practitioners attended a 36-day Sheng Zhen meditation retreat led by Master Li Junfeng at Eastover in Lenox, MA. This is the first time Sheng Zhen has had this long of a retreat. Around thirty people attended coming from all over the globe–Canada, Greenland, Denmark, Germany, Israel, Singapore, and from many states in the US. This was an exceptional opportunity to deepen our practice and understanding of Sheng Zhen Meditation, including living with Sheng Zhen spirit and living a Sheng Zhen life style. It was a real privilege to meditate and practice with Master Li every day, surrounded by other people so dedicated to healing, learning and growth. I felt the group synergy really amplified the practice. My experiences in meditation and guided self-healing sessions ranged from new insights about my personal issues to profound energetic/emotional releases and deeply moving spiritual epiphanies. I feel the retreat opened new space for growth by releasing old, obsolete patterns, and giving me new perspective about the ways I use my energy. Practicing in such a structured way for so many consecutive days brought my personal baseline in meditation way up. I reestablished my regular meditation practice and stillness of mind. I also witnessed positive physical changes. My breath became deeper and my back pain improved. I found myself saying no to things I previously would have over committed to and created stress in my life. In addition I connected with old friends and new friends on deep soul nurturing levels. 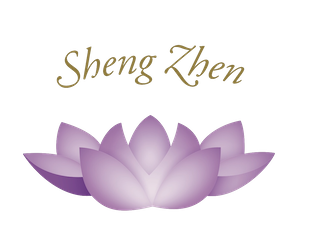 If you are interested in learning Sheng Zhen Meditation for self-healing, check out the classes on our calendar and under events.